Tom Cruise is the last of a dying breed. He's probably the only actor left in Hollywood who can now guarantee a $100 million+ box office return, regardless of whether he's in a franchise (like Mission: Impossible) or operating on his own. He’s still able to sell a movie with his name. Plus, he's also still making terrific films. Cruise has managed to be both hugely successful and critically acclaimed for a few reasons. He doesn't just repeat himself on screen, and he also looks to eclipse his previous cinematic exploits every time he hits the theaters. Meanwhile, unlike every rival in the action genre, Cruise isn't wrapped up with building a franchise or an expansive cinematic universe. He focuses on creating singular films, even when operating within the Mission: Impossible world. Anytime he goes outside of his lone series, he makes sure that the projects – from Jack Reacher to Edge of Tomorrow -- are equally appealing, impressive, and entertaining. Basically, Tom Cruise is the only great action actor out there at the moment. And here's why he can and will save the genre. I know what you're thinking: Tom Cruise is part of the problem because Mission: Impossible is a franchise and was adapted from a TV series. But Tom Cruise has elevated the series to such an extent that he is the main selling point for these films now. Each Mission: Impossible sequel doesn’t rely on linking itself to its previous installments. Instead, it makes sure that it can stand on its own as a solo entity, and different directors are even hired for each new film so that they have a different feel, voice, and style. 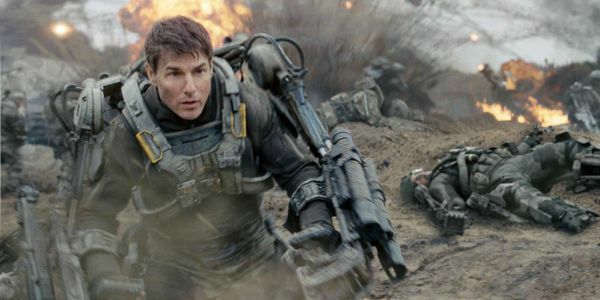 Cruise has given rival action series a blueprint. Will they follow it? Rather than delivering output that appeases his fans, Cruise goes above and beyond to truly enthrall an audience. From Mission: Impossible III onwards, Cruise has delivered original, death-defying, cinematic antics, each of which he films himself in practical-effects settings. 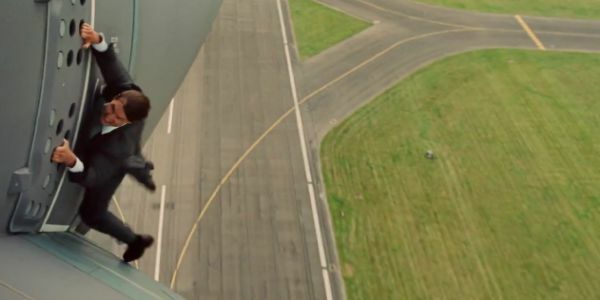 Just look at Mission: Impossible –Rogue Nation. This is a film that begins with Cruise dangling off an airplane that then speeds down a runway at 500mph before setting off into the air. Not to be outdone (by himself! ), Cruise then follows this up with an underwater scene that he had to hold his breath around six minutes for, a hand-to-hand brawl 60 feet in the air, and a motorbike chase through a winding mountain road. Each of which, somehow, manage to top off his previous antics. Who else, these days, goes to such lengths to entertain? 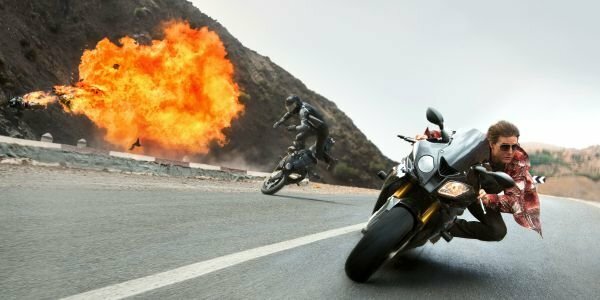 However, Cruise also makes sure to package Mission: Impossible – Rogue Nation as a complete film, not one that only thrives when there is action taking place. We see Ethan Hunt pushed to his extremes, and there is genuine tension, cinematic artistry, humor, and characterization explored throughout. It’s a combination of Mad Max: Fury Road’s relentless spectacle with Age Of Ultron’s popcorn appeal. 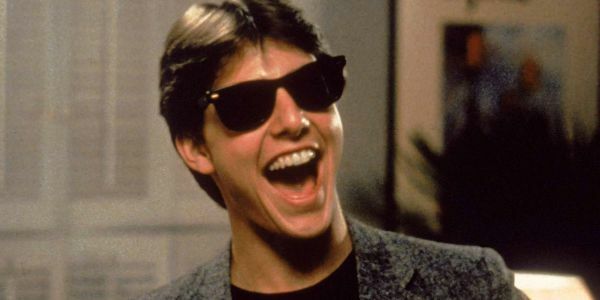 But even when Cruise steps outside of the Mission: Impossible world, he still fills cinemas. Valkyrie, Knight and Day, Jack Reacher, Oblivion, and Edge Of Tomorrow all made over $200 million internationally (I won’t include Tropic Thunder and Rock Of Ages because Cruise didn’t lead those), and were each completely different beasts to his efforts as Ethan Hunt. Cruise is willing to ebb and flow in different genres, whether it's a period piece, thriller or sci-fi, and he also makes sure that he's able to wrap his innately charismatic screen presence around that intriguing story and character, while oozing an appeal that audiences can't help but find alluring. His identity keeps the action genre afloat, and Rogue Nation proves his train isn’t slowing down. In the mid-2000s, there was a genuine concern that Tom Cruise’s career could be on the slide. People had found themselves more concerned with his personal life, especially his burgeoning relationship with Katie Holmes and closeness to Scientology, than his movie output. He left Paramount, changed publicists, and constantly seemed to be putting his foot in his mouth regarding psychiatry and his other personal beliefs. But, here’s the thing. His movies still continued to do well. During this period, the likes of Collateral, War Of The Worlds, Mission: Impossible III, and Lions For Lambs were released, and were either hugely profitable, critically acclaimed, or both. Since then, the furor over Tom Cruise’s life outside of cinema appears to have died down. And in the process, he has re-established himself as the most famous and popular actor in the world. He knows how to endure the white-hot spotlight. He even understands how to thrive in it. Longevity is difficult in Hollywood. Tom Cruise has it. Earlier this week, in his hugely polarizing interview with Esquire, Miles Teller said, "It’s hard to get to the right position, to be somebody who is commercially successful and critically acclaimed. That’s the sweet spot." And while there’s no denying that Cruise is commercially successful, he often fails to be recognized for just how critically acclaimed his films are. Looking through his oeuvre, I can honestly say that he’s never made a true flop or stinker (OK, maybe Days of Thunder) in a career that has now spanned 34 years -- 32 of which he’s been at the top of the Hollywood machine. That’s truly remarkable. And even at 53 years of age, he continues to excel because of the respect he has for the craft, and his ambition to entertain his audience. Joe Di Maggio once said (I know: another quote. I’m the worst), when asked why he played so hard in every single Yankee game, "Because there might be somebody in the stands today who’d never seen me play before, and might never see me again." I get the feeling that Tom Cruise feels the same way about his movies. And long may it continue. Because I for one can’t wait to see how he tries to top himself next.